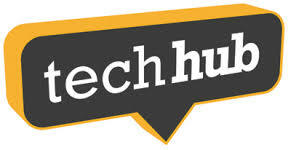 I’m speaking at Techhub on Wednesday – stop by! Although I focus on Amazon Web Services as the default cloud, the concepts could apply equally to GCP or Azure. Want to get a head start? Download the slide deck here. Just to give some context, I’ll start by a quick walk through compute history. From the server cabinet in the back office, to the early managed hosting providers and then on to today’s modern cloud offerings, I’ll explain how we got here. 2. What the heck is serverless? With that new context in mind, I’ll talk about that evolution one step further, to managed functions. What’s that you ask? Just hand over your code to the cloud, and let them handle running the servers, provisioning load balancers, and reacting to your customers when they hit the endpoint. Related: What’s the luckiest thing that’s happened in your career? No presentation is complete without a proper diagram. My reference architecture makes use of Amazon’s many cloud services, including API endpoint, cognito for user authentication, lambda for serverless functions, dynamodb to store state information, S3 for storing objects, CloudFront for the edge caching network, and Route53 for the domain name. Each of the components I mention above, requires some explanation. I’ll talk about how to setup a serverless project, how to define and manage your API endpoint. This is where users first touch your application. I’ll introduce user authentication with Amazon’s own service or a third party like OneLogin or Auth0. From there you’ll see how Amazon’s nosql database Dynamodb works, and how you can store your original & edited images in S3. And no site would be complete without an edge cache, and we’ll have that setup too. Then store your domain name in Route53 and point it to your API. Of course I’ll also talk a bit about myself. Mostly what I’m doing these days, and the types of boutique consulting services I offer. I’ll also encourage everyone to Signup for my monthly newsletter. I discuss cloud, startup & innovation topics once a month. It’s a great way to keep in touch!